Welcome to Clarence, New York! As one of the most sought-after communities in Western New York, Clarence is a clean and close-knit town where life is just… better. 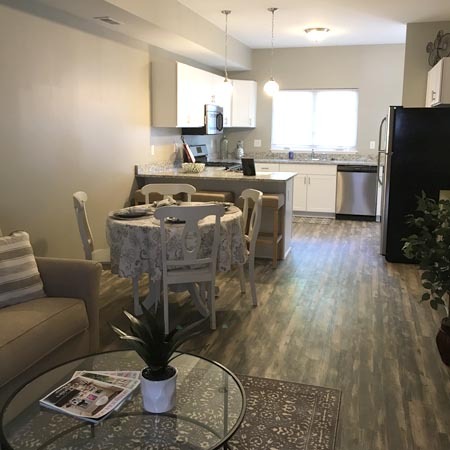 At Waterford Townhomes, we connect those looking to move to Clarence. Our community is a mix of apartments and townhomes, ranging from 1 to 3 bedrooms. We have monthly leases to fit every budget! Clarence is a central suburb of Buffalo in Erie County, NY. In fact, we’re just a 30-minute drive to the city of Buffalo and beautiful Lake Erie! In Clarence, everything you need is “just down the road”: Groceries, shops, restaurants, community events, and more! Our close-knit community is safe and supportive. We’d love to welcome you here! Renting instead of buying is the best option for many house hunters. After all, renting means less responsibility, no unexpected maintenance and repair costs, free access to luxurious amenities, and time to save up for that down payment on a home if you hope to ultimately buy in the future. While you’re here, please have a look at our available apartments! Start by checking out the floor plans of our 1, 2, and 3-bedroom layouts. You can also go on a 3D virtual tour of select apartments to get a better feel for the interior layout and space itself. Moving out of the city? Retiring? Looking for a new home to plant your growing family? 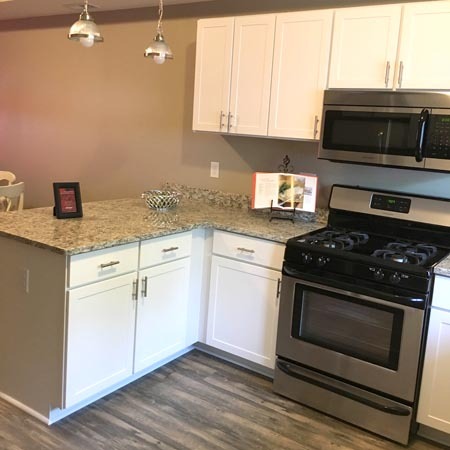 Clarence, New York is the perfect choice, and we’d love to help you find your brand-new home right here in the Waterford Townhomes Community! To speak with an agent today about apartments for rent or to schedule a tour, simply give us a call at 716.249.4060. You can also contact us online! One of our agents will be in touch with you as soon as possible.